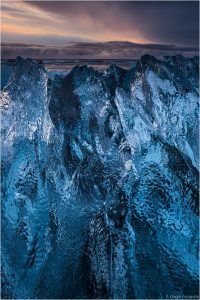 Once more I’ve been to Iceland last November. 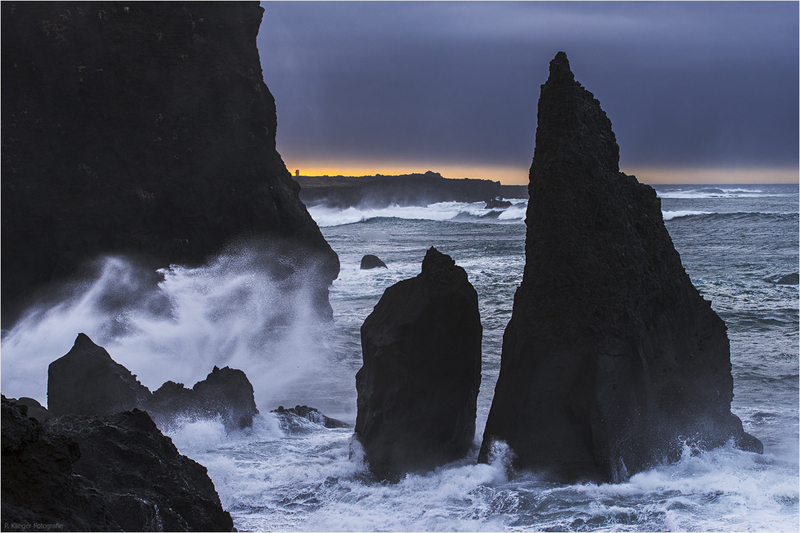 It was only a trip for ten days and photography wasn’t even my main purpose as I stayed a few days in Reykjavík. But of course it’s impossible not to take at least a few days time to travel around to enjoy this breathtaking nature which will never get boring, no matter how often you experience it. 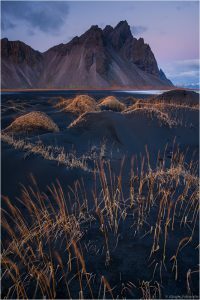 So we drove along the south coast as far as Höfn and visited the various classic, famous places along the ring road like Dýrhólaey, Skaftafell, Jökulsárlón and Stokksnes as it was the first time for my buddy who was with me to be in Iceland. 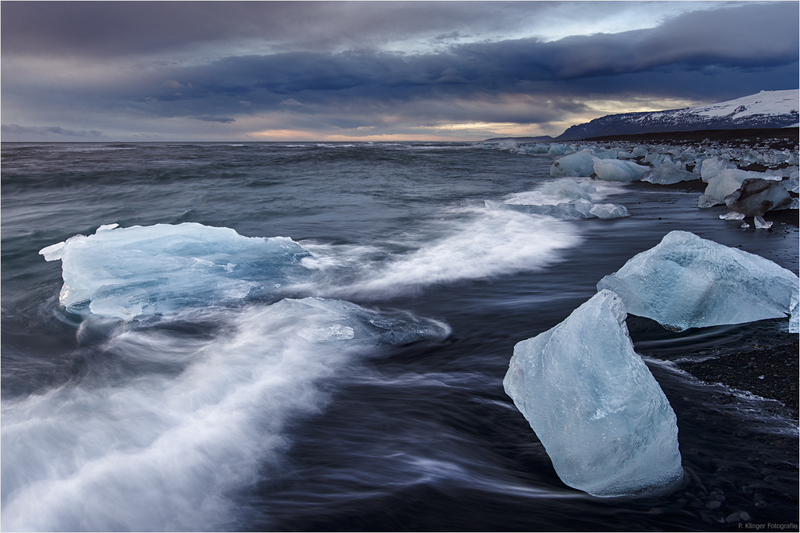 Unfortunately, we could not see the Aurora though one night at the glacier lagoon offered perfect conditions. However it showed again that Iceland is even more beautiful in winter – soft light all the time, breathtaking colors of yellow grass, black sand and stone, white snow-topped mountains and glaciers and few people. Roaring sea at the cliffs of Reykjanes peninsula. 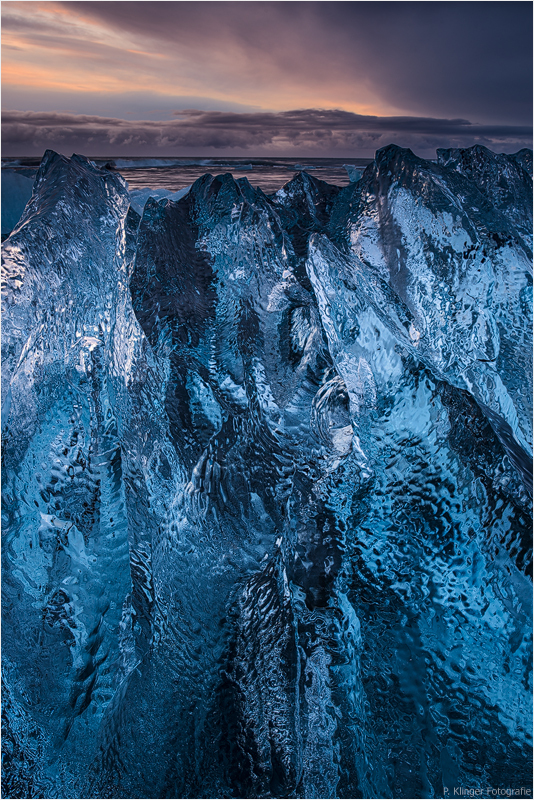 Deep blue ice at the shore close to Jökulsárlón. This beach is a spot you could easily spend a week without getting bored. 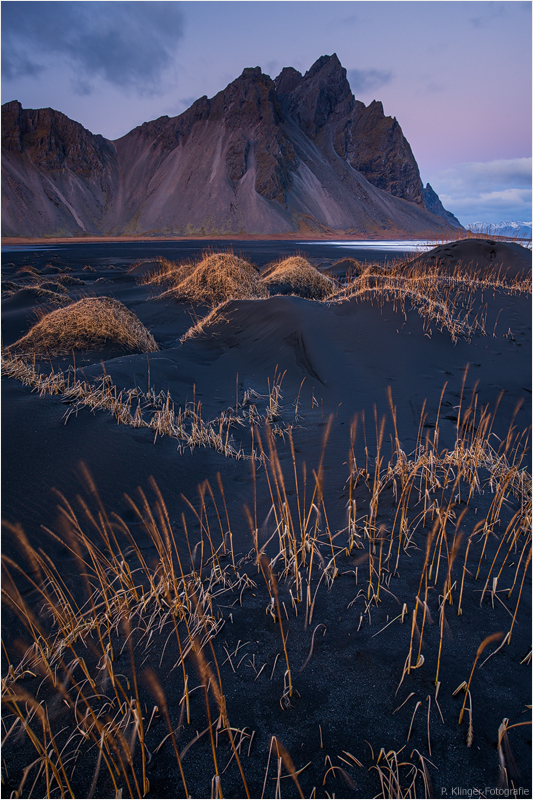 The black dunes on Stokksnes peninsula quite a time after sunset. 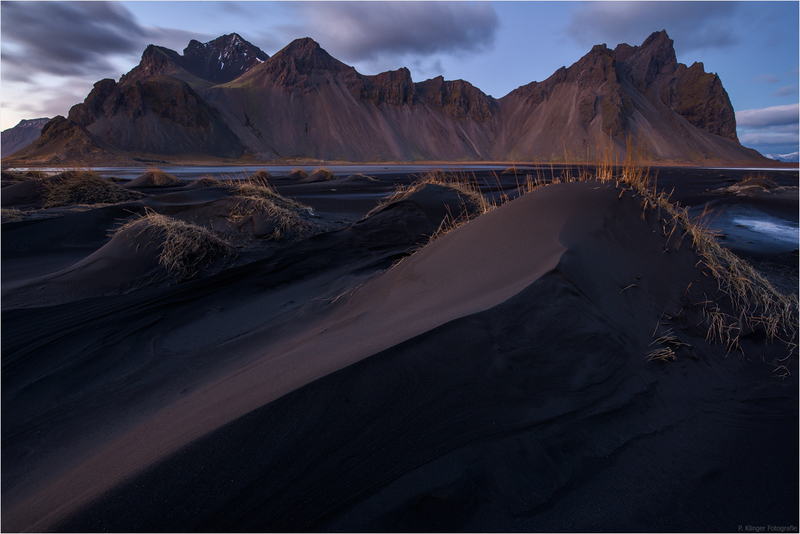 Vestrahorn might have ousted Kirkjufell as Iceland’s most photographed mountain meanwhile.